You are a fabulous "Work of Art"
I woke up to a grey, rainy morning and now I'm sitting in my studio with the window open and I can see blue sky, sunshine and white, puffy clouds. WOOT! I love spring! Doesn't that just sing "SPRING!"? It's such a simple technique with a fun "Wow!" factor too. 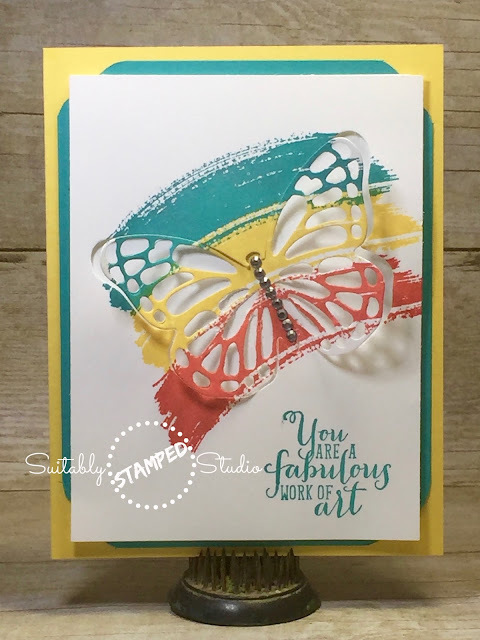 Using the "Work of Art" stamp set and three colors of your choice, stamp the large "swoosh" image three times at an angle to one side or the other on a 5" x 3 3/4" piece of Whisper White card stock. Then, using the medium butterfly from the Butterflies Thinlits, cut the image using the Big Shot and your magnetic platform. Then use the Big Shot Die Brush to easily pop all of the little bits and pieces out of the butterfly and set it aside. Cut a second piece of Whisper White 5" x 3 3/4" and, using Stampin' Dimensionals, layer the first piece on top. Adhere the butterfly "body" into the negative space that it was originally cut from and, using your fingers, gently curve the wings up to add dimension. I layered the entire piece on a 5 1/4" x 4" piece of Bermuda Bay card stock that had the corners trimmed with the Curvy Corner Trio Punch. Then that entire piece was adhered to the Daffodil Delight card base cut at 8 1/2" x 5 1/2". I stamped the sentiment in Bermuda Bay ink and added a line of Basic Rhinestones to give it some sass and Voila! Spring has sprung! Here are all of the supplies I used for today's card. They can all be found at the Online Store too. No lines...No waiting....and you can even shop in your pjs! Wishing you a wonderful week ahead with time to get your fingers inky! "Love You From My Head Tomatoes"? The colors are just yummy and the designs are perfect for all sorts of projects...not just for cards. Now, you may be looking at the sentiment on my card and wondering what stamp set it's from. The answer is....NONE of them. That's right. I created it with one of my favorite products...the Alphabet Rotary Stamp. You can see it on page 132 in the Annual Catalog. I just "wheeled up" the words I wanted and stamped them in Archival Black Ink on Very Vanilla card stock and cut them out. Cool! Huh?? 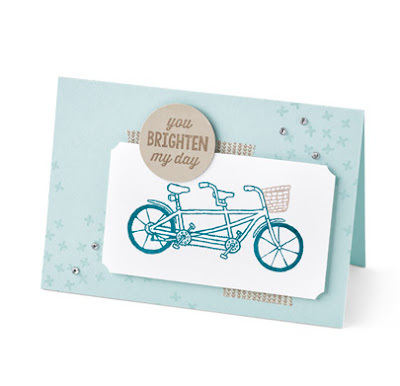 You can find all of the supplies used on this card at the end of this post/email. 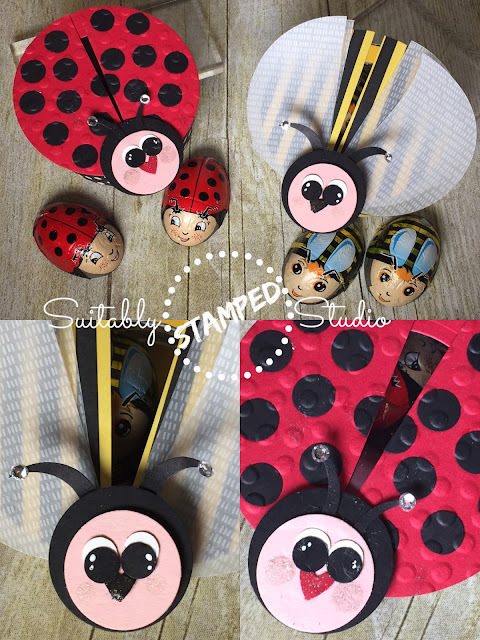 Simply click on the item(s) you need and you'll be taken right to my Online Store at http://SuitablyStamped.stampinup.net. 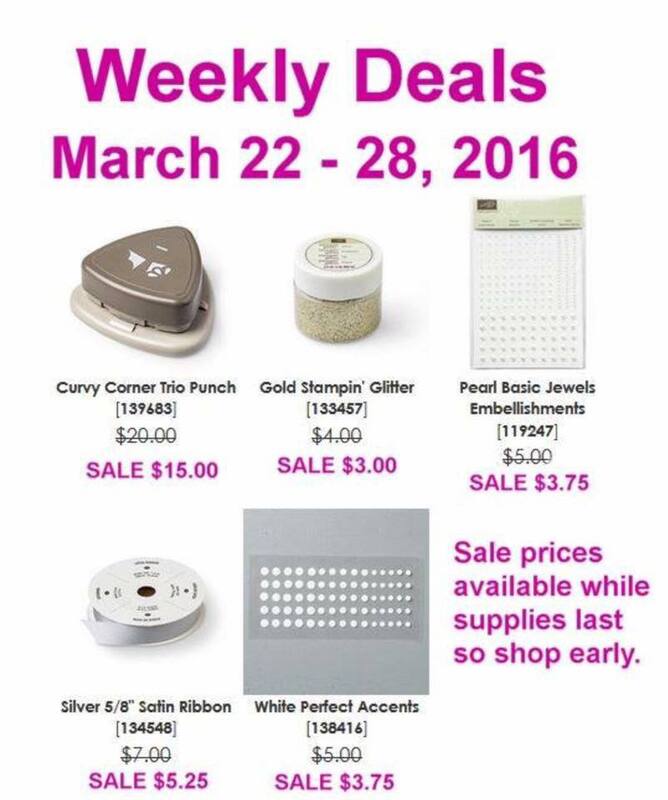 Also, you can take advantage of the sweet "Weekly Deals" the same way. Just click on the items you'd like and VOILA!....before you know it you'll be choosing your FREE Sale A Bration items! Alrighty...before I go I want to make sure to remind you that there is only ONE WEEK LEFT of Sale A Bration. If you haven't gotten your FREE products yet, you'd better put a wiggle on! That coach turns into a pumpkin at the stroke of midnight (MST) on March 31st! Disney and Project Life by Stampin' Up! Happy New Week and Hello, Spring! and we are thrilled to offer it both here in the US and in Canada. Sale A Bration (March 31st). This is going to be BIG!! Disney isn't just MY vacation of choice....there are MANY, many people who have hundreds (or maybe thousands) of photos from both Disneyland and Walt Disney World just sitting in boxes, on their computers and even on their mobile devices. It's time to make the magic happen and preserve them so everyone can relive that magic for years to come. 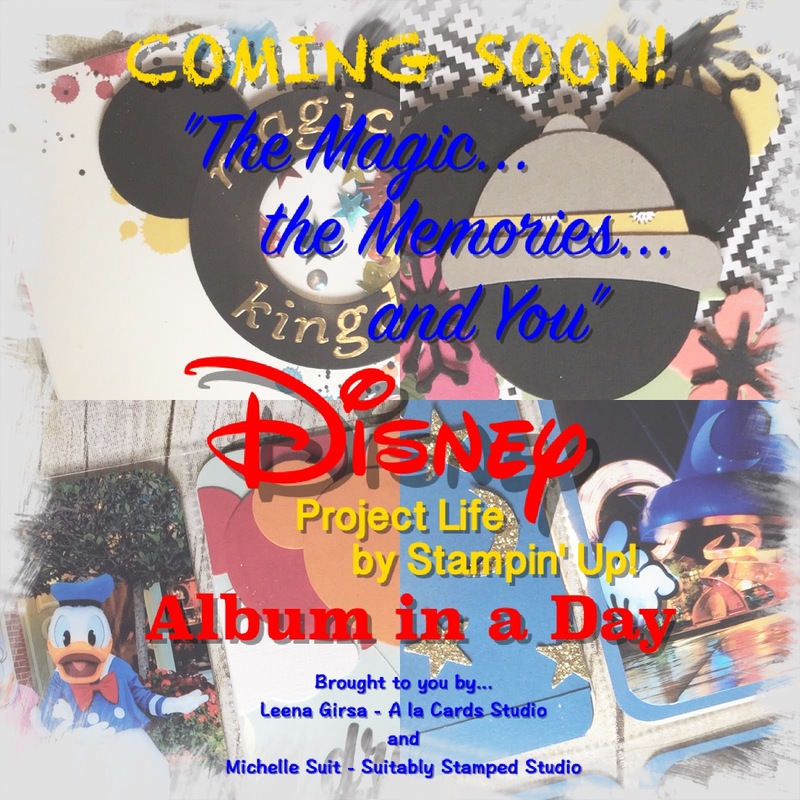 If you haven't heard of or tried Project Life by Stampin' Up!, trust me....it's QUICK and EASY. Plus, all of the pages are designed for you and your kits will be ready to assemble!! How awesome is THAT??? I will give you a little hint....This class will debut in May....that's all I can say. So....dig out those photos from Disney or go and have them printed. You're NOT going to want to miss this one!!! Have you checked out all of the awesome deals on the Clearance Rack lately? Click the link below and start saving! Wishing you a warm and sunny week ahead! Wait 'til you see what I've been up to! First of all....I have exciting news! I NOW have my very first stamp in my passport! Yep....I traveled outside of the US for the very first time this past weekend and I went all the way to Canada...all alone! HAHAHA! I know...for those of you who are seasoned travelers this sounds pretty lame. For me, though, it was a big deal. I flew to Toronto, Canada to visit my amazing friend, Leena. 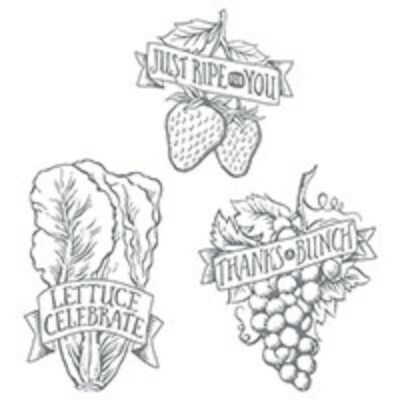 Ours is a friendship that came to be thanks to Stampin' Up! and the Man Upstairs. Wow! What an incredible blessing she is in my life. We spent most of our (very short) time together doing what we love to do....STAMPING! We have had many FaceTime conversations making plans for some pretty exciting NEW projects and events that we will be announcing very soon. We can't WAIT to share them with all of you!! One of the "magical" places she took me during my visit was the Lindt Chocolate Outlet. WOWZA!! It was AWESOME! 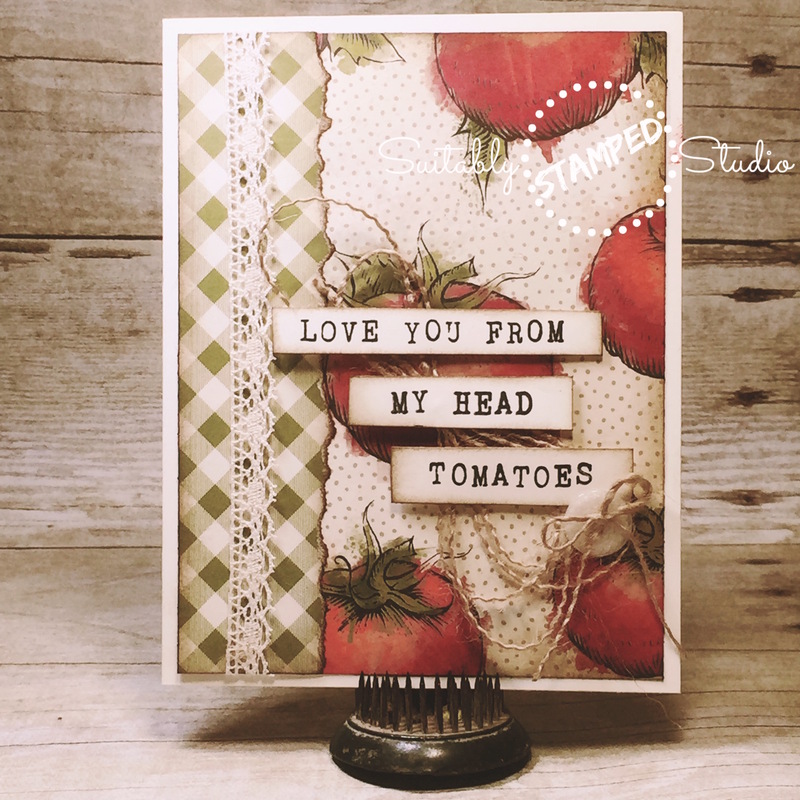 Now...one thing that we crafters and stampers tend to do is find everyday items to use in projects. 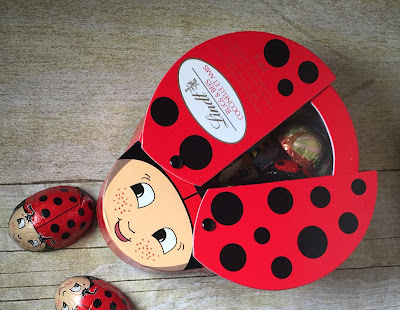 I knew at first glance when we walked into the Lindt outlet that we were going to have a very long list of fun projects to create with the pure deliciousness that greeted us there. How cute is THAT?? Check out those stinkin' cute ladybug chocolates too! Okay....so we gathered all of our inspiration....and maybe a few extras to sustain us while we worked...and headed back to Leena's studio. 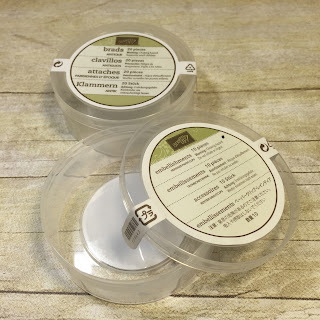 How many of you have stacks of these empty embellishment containers gathering dust in your craft space? You know you just CAN'T throw them out because surely there's the perfect project just waiting for you to use them. THIS is that project! Aren't they just stinkin' cute?? We had SO much fun creating them and getting them just right. We cut out the center section of the lids of the containers and added a window sheet so that the chocolates stay put. The wings "fan out" and reveal the chocolate inside. 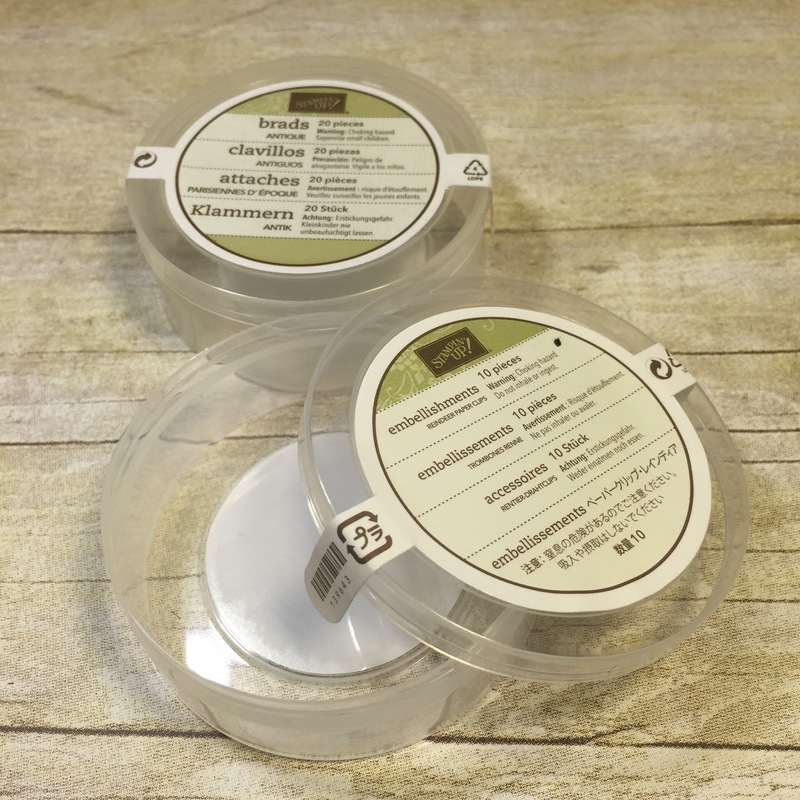 We lined the inside of the containers with cardstock circles and added a "rim" with cardstock to the lids. The wings are attached with brads so they move!! What "cutie patooties" would be complete without a touch of the sparkly "Wink of Stella" on their noses and cheeks. We haven't put together a tutorial for these girls yet but if you're interested, just let us know. I feel SO incredibly blessed to have such an awesome friend and I LOVE working with her. You're not going to want to miss what we have in store for you. If you're in Canada, (or anywhere in the world for that matter), check out her blog at http://alacards.blogspot.com/ She's an incredible stamper and will inspire you. Trust me! Check out her awesomeness!